As news networks give over valuable screen real estate to their election night countdown clocks, the pollsters of the United States are issuing final polls on the 2016 presidential race… and it’s a close one. 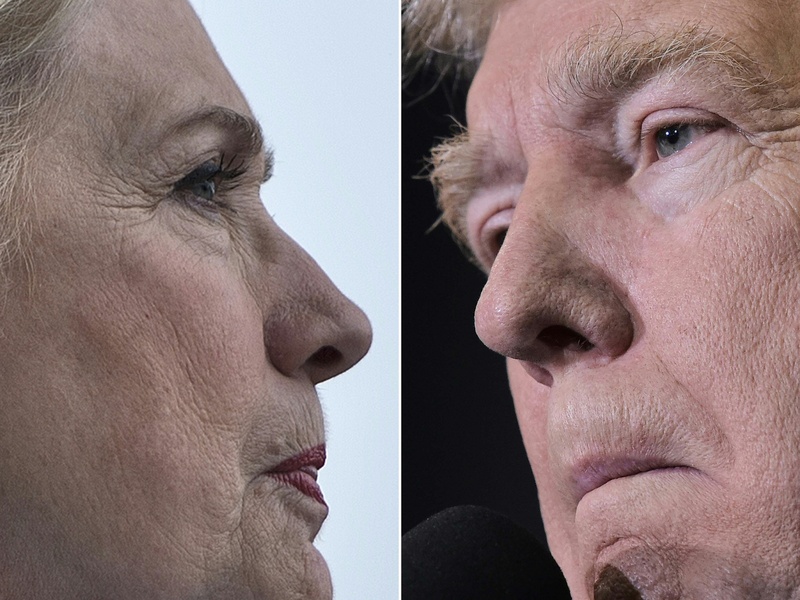 The home stretch of national and state polls coming in throughout Monday paint a picture of a tight race, though they still give Hillary Clinton a slight edge. That doesn’t mean the race is decided — far from it — but short of a systemic polling error or a massive turnout shift on Tuesday, many polls suggest Donald Trump is facing a narrow but decisive loss. First, let me say that turnout is key — so if you were planning on not voting tomorrow because the race is already put away, all I can say is “Oh No, She Betta Don’t” — and both campaigns’ Get Out the Vote operations are at full tilt. Second, with a lot of late-breaking developments surrounding Clinton’s emails and FBI Director James Comey’s “October Surprise” (and “November JK"), the ultimate picture painted by the final polls, which can take anywhere from a few days to a week to reflect current events, might be dated. That, taken in concert with the fact that millions of voters have already cast their ballots, should make for an interesting night on Tuesday. Between just before 7 a.m. EST Monday and now, FiveThirtyEight has added 81 polls to their model, including a polling bomb of each of the 50 states from SurveyMonkey (which, strikingly, has Michigan, Wisconsin, Georgia, and South Carolina as toss-ups, along with Florida, Nevada, and Arizona). One thing that the stats-and-forecast outfit has said throughout the election is that, unlike in 2012, the 2016 race is much more volatile. This is how, even though Barack Obama’s Real Clear Politics lead going into the 2012 election was 0.7 points, FiveThirtyEight’s forecast put Obama’s chances of winning at over 90 percent. Meanwhile, Clinton enters the final stretch with a 3.2 point edge over Trump on RCP, even though her FiveThirtyEight odds are a much more modest 68 percent. You can see this volatility reflected in the polls. Two Florida polls released within 30 minutes of each other had contradictory results, with one putting Clinton up by 2 points, the other putting Trump up by 4 points (though to be fair, FiveThirtyEight “adjusted” the latter to have Trump only up by 1). So what does it all mean? Nationally, Clinton’s lead is becoming more consistent. While Trump has led in a couple of polls, many of them skew right, like the USC Dornsife / Los Angeles Times tracking poll, and when run through FiveThirtyEight’s adjustments, only one comes out with Trump on top: a Marist College poll that actually had Clinton ahead, adjusted to give Trump a slight edge. The question of house adjustments boiled over on Saturday, with FiveThirtyEight’s Nate Silver responding in a tweetstorm to a critical article from Huffington Post’s Ryan Grim. Indeed, it appears that Tuesday’s vote will not only be a kingmaker for the presidency, but for poll aggregators as well.